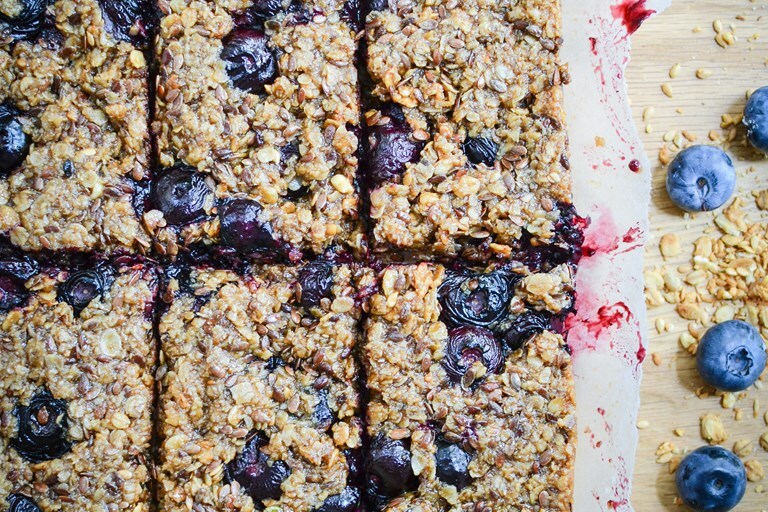 This fabulous blueberry granola bar recipe is just the thing for those who want a tasty homemade snack on the go. If you are really dedicated to the homemade cause, you could also make your own cereal for the bars by following our granola recipe. I used to be very anti granola bars. Very, very anti anything like a granola bar. What is the point? Why would you eat a bar of granola when you can just eat a bowlful for breakfast? Then I ran out of time to do everything that needed to be done in the mornings. To get them dressed and fed and packed for school and me dressed and fed and packed for work. Then I started having breakfast on the commute into work. It just saved time and stress. Then I started making granola bars. Life is funny isn’t it? 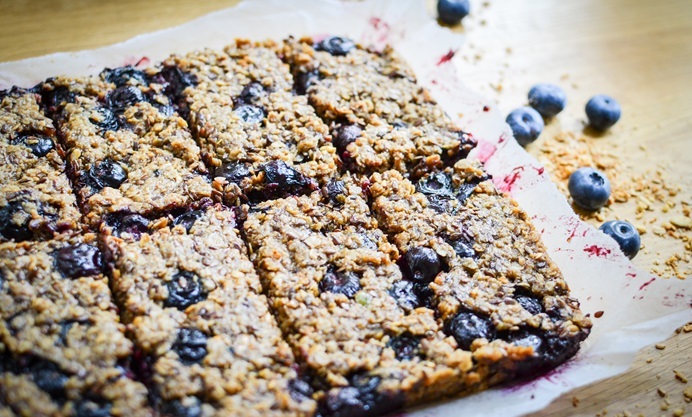 These healthy, filling bars are a necessity now. Otherwise I don’t eat anything til my tummy starts growling around noon or I start to feel dizzy. The latter is happening more and more with old age. So the granola bar I hated so very much has become my friend. My breakfast friend. My fill me up properly and see me through back to back meetings staple. Here’s how I make mine. Enjoy. On a crowded commuter train or better still in your quiet kitchen with a nice cuppa.